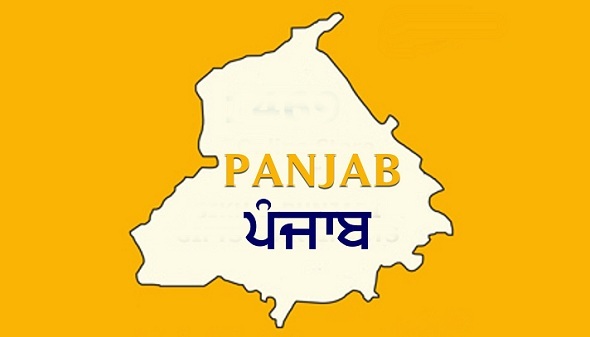 Punjab is northwestern state in India bordered by the states of Jammu and Kashmir, Himachal Pradesh, Haryana, Rajasthan and the neighbouring country of Pakistan. Punjab is an ancient state and many of its regions were a part of the great Indus Valley civilization. Punjab has witnessed multiple invasions and conquerors over the centuries such as Greeks, Achaemenids, Turks and Afghans. Punjab is also the birthplace of Sikhism with the holiest shrine of Sikhism located at Amritsar. Agriculture forms the backbone of the state’s economy due to the highly fertile soil created by the five rivers flowing through it. These are the 10 must know facts about Punjab. The word Punjab means the land of five rivers. Pun means five and Aab means water. The rivers flowing through the state are Sutlej, Ravi, Beas, Jhelum and the Chenab. Punjab has been named “Sapta Sindhu” in the ancient Rig Veda, the holy book of Hinduism. The seven rivers described in the Rig Veda are Saraswati, Satadru, Vipasa, Asikani, Iravati, Vitasta and Sindhu. The state has been called Panchnanda meaning the land of five rivers in the epic Mahabharata and Puranas. The Punjab province of British India was divided along with Bengal during partition of India in 1947. Pakistan was created out of Punjab and Bengal. West Punjab became Pakistan owing to it being a Muslim majority region leading to the largest human migration in history and widespread communal violence. In the year 1966, Punjab was again divided on the basis of language leading to the formation of Haryana and Himachal Pradesh which were carved out of Punjab. Punjab is the only state in India where the Sikh community is in majority. According to the 2011 census data, the total population of Punjab is 2.77 crore with 60% Sikhs and 35% Hindus residing in the state. Rural population accounts for 62.5% of the total population while the urban population constitutes 37.5% of the total population. Due to it being a Sikh majority state, Punjab witnessed the Khalistani movement for a separate Sikh nation during the 1980s which was successfully curbed by the Indian government. There are many holy books of Hinduism that have been partially or completely written in Punjab. These include the Rig Veda, Sakatayana, Ashtdhyayi of Panini, Nirukta of Yaska, Charak Samhita, Mahabharata, Bhagavad Gita, Bakhshali manuscript and others. Hinduism was present in Punjab much before the invaders brought Islam with them and the founding of Sikhism by Guru Nanak. The names Lahore, Chandigarh and Jalandhar are all derived from the Hindu traditions. The extremely fertile soil of Punjab makes it very suitable for agriculture. Rice, Wheat and Sugarcane are the three major crops grown in the state. Fruits and vegetables are also widely grown in the state. The state produces 19.6% of India’s wheat, 11% of India’s rice and accounts for 10.26% of India’s cotton production. Wheat has the largest share in total cultivation of crops. Due to these reasons, Punjab is called the “Granary of India” or “India’s Bread Basket”. Punjab experiences very hot summers and equally cold winters. The monsoon season witnesses heavy rainfall which is essential for the agricultural health of the state. The summer season commences from the month of April and continues till June. The temperature can touch as high as 45 degrees. The monsoon season lasts from July to September. Winter season starts from the month of October even though the temperatures touch the minimum limit only during the months of December to February. The temperatures can touch the freezing point in the month of December. The Grand Trunk Road runs between the holy city of Amritsar in India and the Pakistani city of Lahore. The road runs through the international border crossing between India and Pakistan at the Pakistani village of Wagah. Attari is the last Indian village located at the border. The Wagah border is located just 32km from Amritsar and 24km from Lahore on the Pakistani side. It is perhaps one of the most famous border crossings in the world. Chandigarh is the joint capital of Punjab and Haryana. It is a Union territory. The city of Chandigarh is a well planned city and reputed to be one of the most beautiful among Indian cities. The city was designed by the French architect Le Corbusier. Chandigarh is famous for its educational institutions and a plethora of tourist attractions. Punjab has been divided into Majha, Doaba and Malwa regions. Majha is known as the heartland of Punjab and consists of the districts of Amritsar, Pathankot, Gurdaspur and Tarn Taran. This is the region between the Ravi, Beas and Sutlej rivers. Doaba is the region between Beas and Sutlej and is a very fertile land. Jalandhar, Hoshiarpur, Kapurthala and Phagwara are present in this region. Malwa is located south of the Sutlej River and forms the bulk of Punjab. Ludhiana, Bathinda, Mohali, Sangrur, Ferozepur, Moga, etc. are present in this region. The Punjabi culture and traditions have become dominant in the Indian psyche much of which have been shaped due to the preponderance of Punjabi songs and dance forms in many famous Bollywood movies. Furthermore, many Punjabi delicacies are much loved by people all over the country.